Price describes himself as 'Dedicated to Christ First; historically driven, well traveled and reflective'. 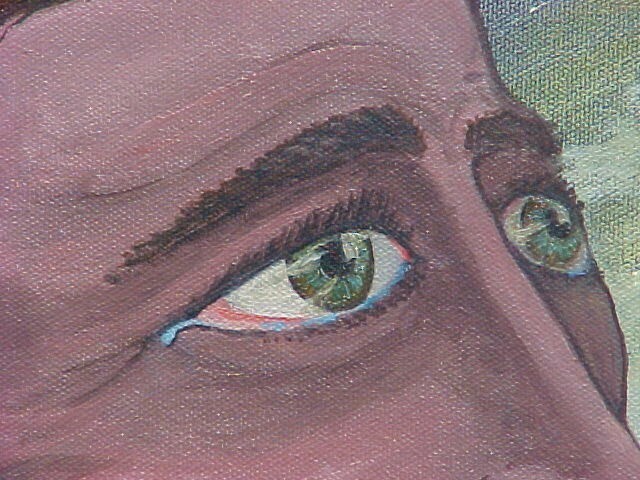 A self-taught artist He has been involved in art and media related projects since the 1970's. Texas Tech University has asked for and agreed to accept his collection of Vietnam Related Art and writings for inclusion in their Vietnam Center and Archive. His art has been shown in Tombstone Arizona, Granbury, Amarillo, San Antonio, Charlotte North Carolina and a one man Southwestern Show at the Black Kettle Museum Cheyenne Oklahoma 1992. He has produced thousands of photographs and hundreds of pieces of art in 57 years. 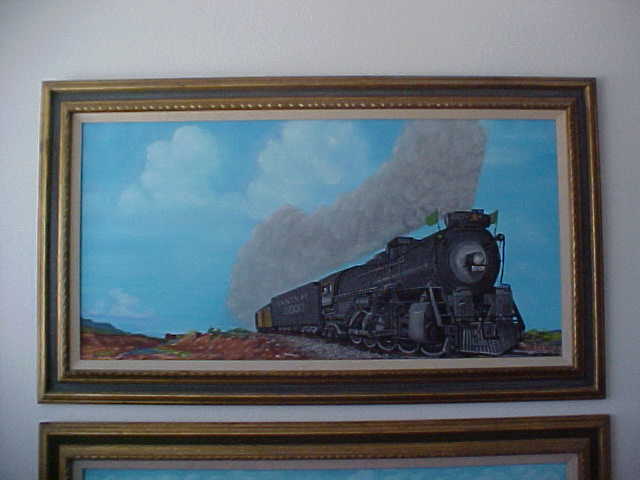 Some of his steam engines paintings are to be included in the new Amarillo Railroad Museum. His official permanent residency is Historic San Antonio with his Daughter Stephanie; but he has a Granbury Lake site as of 2009. A Native Texan; he was born in Canadian Texas. Price's Hood County roots go back to the late 1800's. His Great-Grandfather Francis Marion Cunningham was a Confederate Veteran from Alabama and is listed on the Masonic rolls of the Paluxy Lodge which met at Rock Church; Hood County. The Cunningham's were Hood County residents until 1893. The family later migrated to Indian Territory in 1894 making the last free land runs and put down roots in Cheyenne & Arapaho County. He has two great-grandmothers who were full-blood Native American of the Chickasaw and Cherokee Tribes. 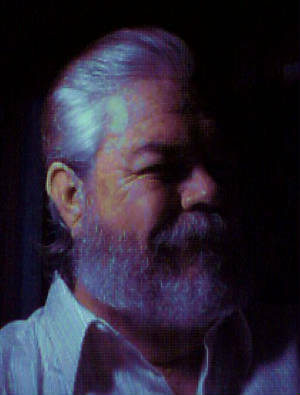 Price has completed extensive work on his family history since 1964. The Price family research including connections with Wales; runs from Jamestown, through the Revolutionary War, the Civil War up to the Lincoln County Cattle Wars of New Mexico. One of his great – grandfathers was a Line-Rider for John Chisum. The family included Preachers, lawmen, outlaws, farmers and a number of Railroaders. Price himself is a Fourth Generation Railroader having worked for Texas Southern Railroad . His father J.M. Price was a steam Engineer on the Santa Fe Railroad's Plains Division. “While most people watched 'Westerns' on TV; many of those stories were being told around our dinner table and at Family Reunions as family history ,” said Price, “all that history day and night had an effect on my life then and now. I try and reflect that in my artwork. History defines me,” says Price. “If I were a painting; my frame would be the American West.” Stationed at Fort Huachuca; Price made his home in Tombstone Arizona. His first civilian press work was conducted in the offices of the Tombstone Epitaph. 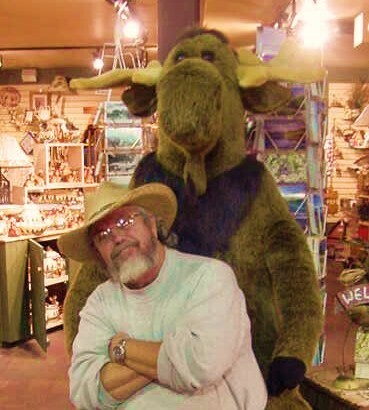 Bob Price comes to Granbury as an accomplished Illustrator, Photographer and Journalist. He is a Member of Warriors For Christ. He offers as his credentials these facts: Illustrator, Photographer and Journalist with the Army Security Agency - Vietnam Period -tasked with providing briefings for General Staff and above to include the Under-Secretary of the Army. Staff Cartoonist – Illustrator for The Torii Typhoon – Army Security Agency. 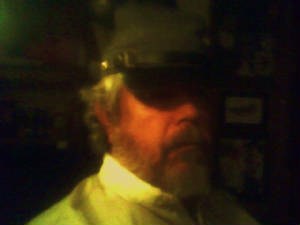 Graphic Artist, Photographer, Reporter and Manager of the Art Department; for the Randall County Reporter Newspaper. Managing Editor – Motorsports In Action, Program Illustrator and Track Photographer Amarillo Speedway, Associate in Science Degree Mass Communications Amarillo College. Managing Editor of the AC Newspaper – The Ranger, multiple awards in Journalism, Illustration and Cartooning from AC and The Texas Intercollegiate Press Association, He received the Tommy Bryant Memorial Scholarship in Journalism. In 1979 he was Awarded a CATO Institute Scholarship to Northwestern University at Evanston Illinois in Investigative Journalism, Political Economy and World Affairs. The Associate Editor National Vietnam Veterans Review Washington D.C.; Editor, Veterans Press Syndicate – Ft Bragg; Fayetteville North Carolina; Editor – Medina Valley Times Tri-County Area Bexar/Medina/Atascosa Counties. Photographer of the Year Stevens Transport Dallas Texas. He has produced several award winning websites mostly based on his past work. Bob is a 2 million mile accident free safe driver, receiving the Presidents Award for Courtesy and On time delivery, safety and longevity awards and Safety Awards from The American Truck Driving Association. He has trained numerous Truck Drivers. "I am a Conservative," says Price. " 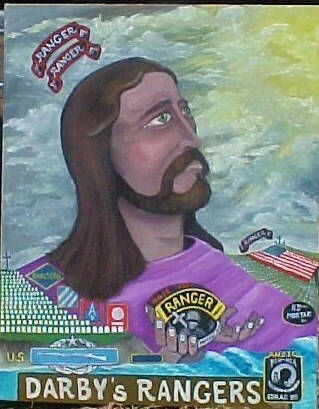 He has been associated in the Past with the VFW, a District Adjutant for the American Legion (54 Texas Counties), Top of Texas Vietnam Veterans, past member of the Masonic Lodge,member of The Republican Club and lay-counselor for the Institute for Christian Counseling Ministries. Madam Queen AT&SF Engine 5000 - Bob Price - Oil Painting - 24" x 48"
We survived it all thru thick and thin working in Military Intelligence with The Army Security Agency. Dave was my Section Chief in Pictorial Arts and He taught me Photography. Throughout the years Dave has been a guiding light. There would be nothing to show you on any of my pages without Dave Lovelace.